Yonked :: Diary of a New Home: Flea Circus featured in Washington Post! Starting work on the house again. In which the lawnmower wheel falls off. 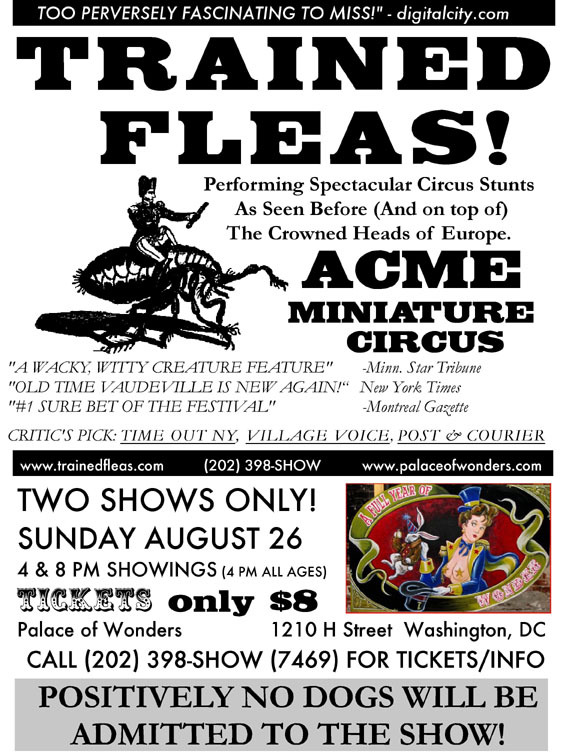 Flea Circus featured in Washington Post! My show was featured as one of the picks of the week for this week's Washington Post! And a reviewer is coming on Sunday to the 4pm show to write an article about the show. If you have any friends in the DC area, please let them know, and please have them come out to the 4 pm show. It'd be great to have a big audience for that show. 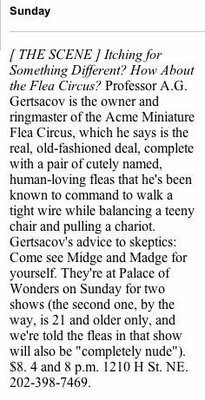 Comments on "Flea Circus featured in Washington Post!"